There is a common misconception that any amount of vitamin K for people on warfarin is too much. Many people on Coumadin or warfarin think they must completely eliminate vitamin K from their diet. This is not true. 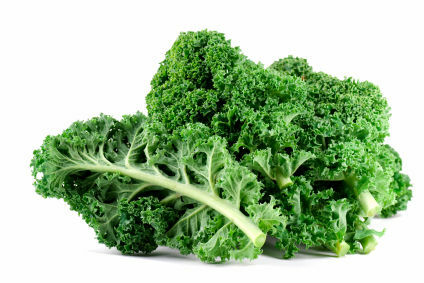 The fact is, people on warfarin must consume a consistent amount of vitamin K. If a person loves broccoli, or kale, or spinach or any of the hundreds of foods rich in vitamin K, they should definitely continue to eat them. However, they must eat approximately the same amount of vitamin K on a daily basis. This is because the dose of warfarin the person is prescribed will be adjusted based on the amount of vitamin K they consume. If they consume an inconsistant amount, then their dose of warfarin will not be correct and they are at risk of potentially fatal outcomes. The advantage of taking a multivitamin without vitamin K, such as K Free Daily, is that the vitamin can be started, stopped, or doses can be accidentally skipped without having to worry about changing the dose of warfarin or risking dangerous adverse events. Despite the fact that people on warfarin are not technically limited on the amount of vitamin K they can consume (so long as they consume a consistent amount), it is still recommended not to eat more than the U.S. Dietary Reference Intake, which is 90 micrograms per day for women and 120 micrograms per day for men. An advantage of taking a multivitamin without vitamin K, such as K Free Daily, is that a patient on warfarin who enjoys eating foods high in vitamin K can still eat those foods, take a daily multivitamin, and keep their daily vitamin K intake at or below the recommended levels. A single multivitamin with vitamin K can provide more than than recommended daily amount, meaning a patient on warfarin should not consume any additional vitamin K from their diet. K Free Daily is the multivitamin safe for use with warfarin!